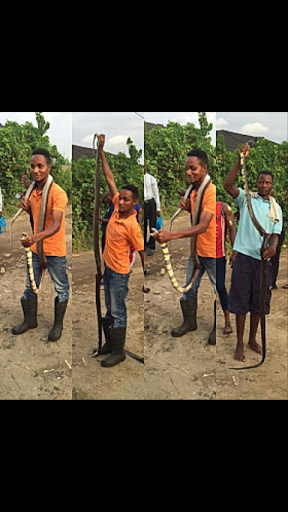 biggest and longest snake I ve ever seen in real life, u needed to ve seen it in real life dis pictures didn't really show the size, am just so grateful to God for protecting me and my household, I thank God for making us see it cos i wouldn't ve known der was a beast like dis in my compound. Thanks be to God���� End of the story dis men went to roast it and said dis na better meat o madam na wa o. Do u eat snake meat?